Now available for both iPad and iPhone! It just got a whole lot easier to keep up with the latest clinical research in oral and maxillofacial surgery. 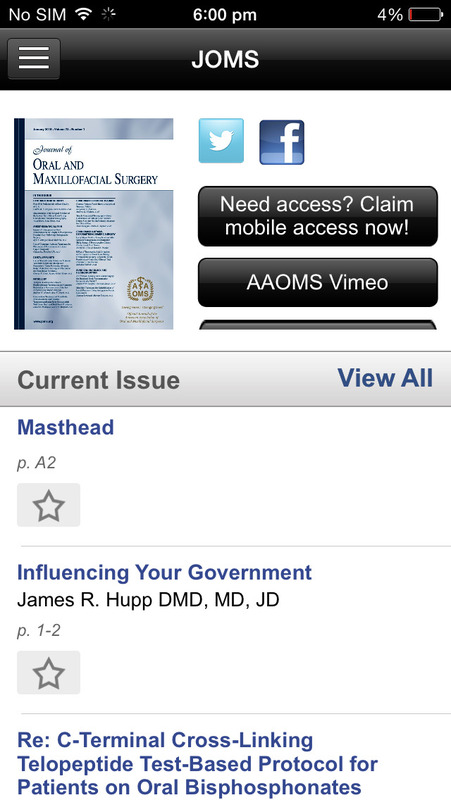 The Journal of Oral and Maxillofacial Surgery app brings you the convenience of reading your favorite journal from anywhere in the world with just a tap. •	Browse new issues and read new Articles in Press throughout the month, or jump to the featured articles with a tap! Journal subscribers: Log in with the same username and password obtained on the Journal of Oral and Maxillofacial Surgery website that grants you access to the full journal content. These credentials will allow full access to all content on the app. 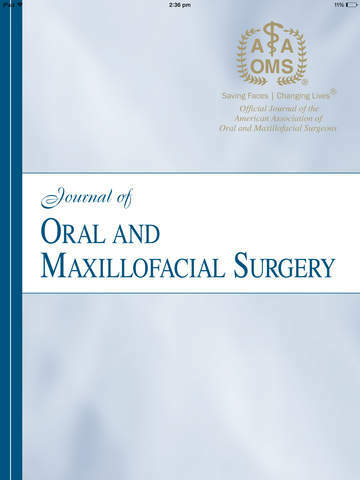 The Journal of Oral and Maxillofacial Surgery offers comprehensive coverage of new techniques, important developments and innovative ideas in oral and maxillofacial surgery. Practice-applicable articles help develop the methods used to handle dentoalveolar surgery, facial injuries and deformities, TMJ disorders, oral cancer, jaw reconstruction, anesthesia and analgesia. The journal also includes specifics on new instruments and diagnostic equipment and modern therapeutic drugs and devices. 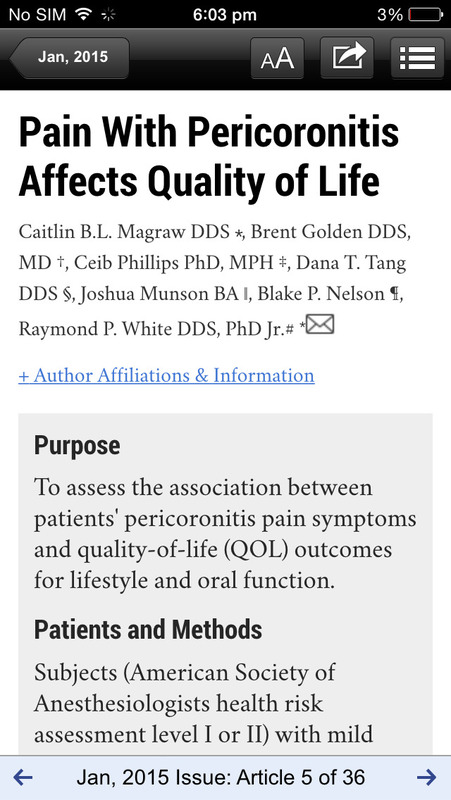 Journal of Oral and Maxillofacial Surgery is recommended for first or priority subscription by the Dental Section of the Medical Library Association.